Looking for a unique place to host your next conference, retreat, or event? 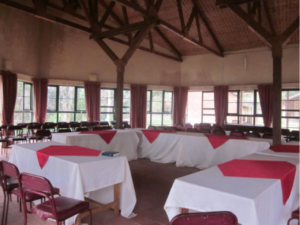 The bright and airy, Obusingye Hall (Obusingye means “Peace”) overlooking the water, provides a wonderful atmosphere and can accommodate groups of up to 100 for a wide variety of events and conferences. 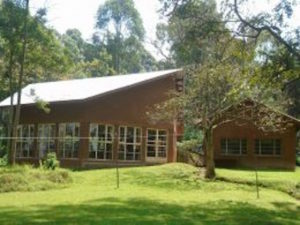 The Hall is also used for local community events, such as agricultural workshops for local farmers, and education and training workshops. We also offer delicious buffet options for breakfast, lunch, and dinner for groups of 10 or more! Please contact us for more information about how we can accommodate your group.